Forza Horizon 4 introduces several new features that will make the game feel fresh and exciting in the months and years following its release. Seasons is undoubtedly the big one, which will change the landscape of the open-world and introduce new content on a weekly basis. This includes new cars, events and of course, weather conditions. To compliment seasons will be the Route Creator, which will allow players to create their own customized race events in Forza Horizon 4. However, few official details have been shared about the Route Creator. 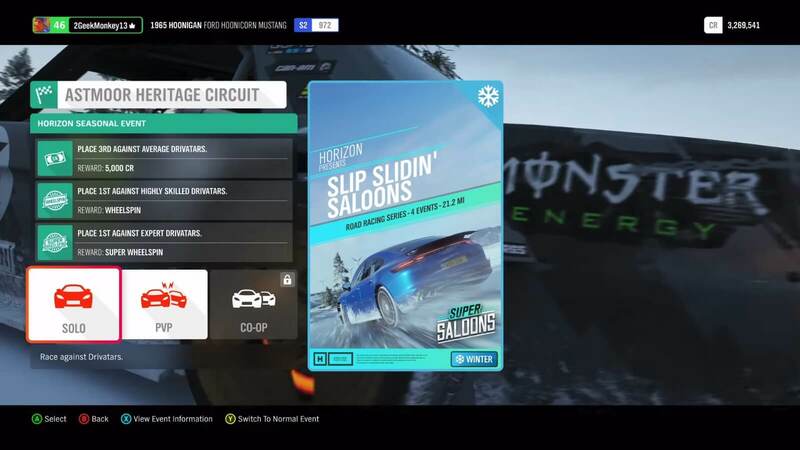 Playground Games didn’t even discuss the feature during their recent Forza Horizon 4 Seasons broadcasts, and when it did show up on the livestream on the event creation screen, it was labelled as ‘Coming Soon.’ This suggests that the Route Creator potentially won’t be featured in Forza Horizon 4 at launch, but will instead be included in a future update post-release. For comparisons sake, last year’s Forza Motorsport 7 shipped without several announced features at launch, including the Auction House, Forzathon, Leagues and Spectate Mode. 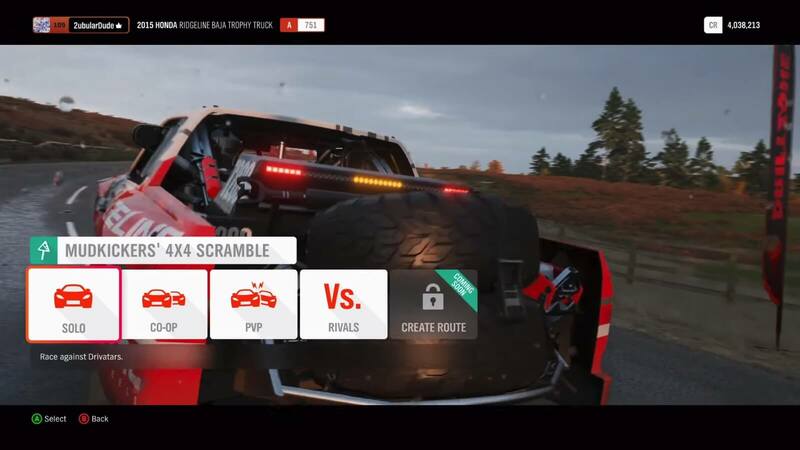 Some official details on the Route Creator were shared this week by Turn 10’s Design Director Jon Knoles, who revealed on the official Forza forums that additional info on the new feature will come “later,” whilst clarifying how it’ll work in the hands of players in Forza Horizon 4. Knoles said that players can only create a custom route at any of the starting locations of pre-existing event routes, but after that, you can make courses as long or as short as you desire. Checkpoint width can also be adjusted, and these can be placed wherever you wish on the map. In addition, you can choose between a circuit race or point-to-point. You’re also not limited to the existing road network either, which means you can indeed head off-road and beyond the asphalt. 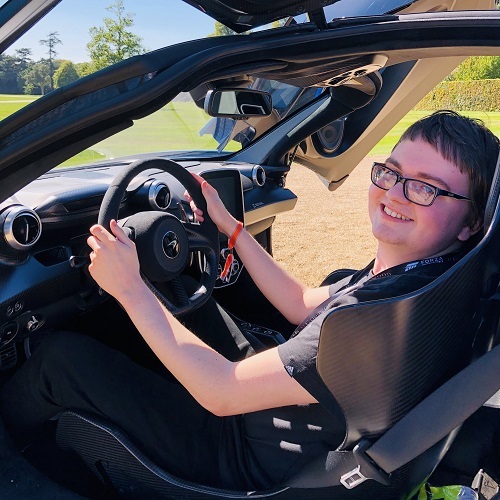 As referred to by Knoles, the team at Playground Games are currently fixing a lot of bugs in relation to Drivatars, who are struggling to navigate these custom courses. This could be why the Route Creator might not be included in Forza Horizon 4 at launch, though Microsoft, Turn 10 Studios or Playground Games have yet to officially say whether or not the feature will be delayed. An example of a limited-time seasonal event in Forza Horizon 4 with its own challenges. 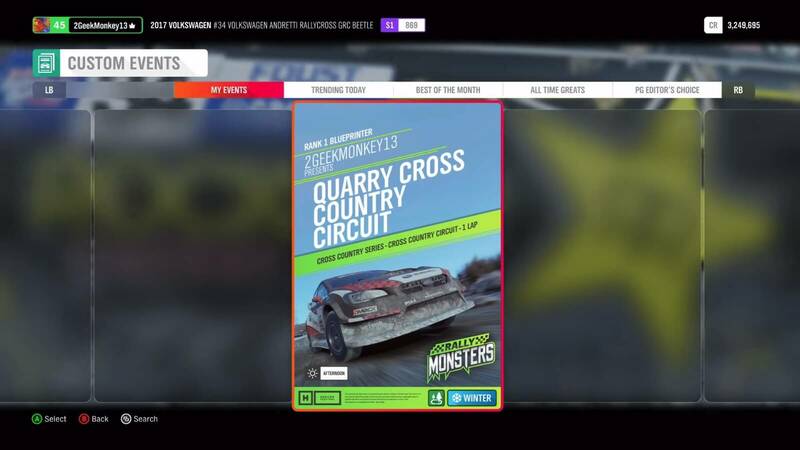 Whilst the Route Creator will allow players to design and share their own custom race routes from any of the designated starting locations in Forza Horizon 4’s beautiful, historic Britain, the events already featured in the game will also be remixed by Playground Games in the weeks and months following its October 2nd release. These include Showcase events, which will be updated to play in different ways after launch. Expect these to be altered with different vehicles, time-of-day settings, weather conditions and seasons. Likewise, new seasonal events will also be introduced to the game as well. Forza Horizon 4 will be the most customizable entry into the open-world racing series yet. Not only can you personalize your vehicle with a host of different upgrades and kits or progress through the campaign to become a Horizon Superstar anyway you desire, but there’s also more than 500 pieces of clothing and over 50 emotes you can use to customize your character and make them stand out from the crowd at the Horizon Festival. Take on the event as intended by Playground or create your own with Horizon Blueprint. In addition, the Horizon Blueprint feature introduced in Forza Horizon 3 will also return to Forza Horizon 4. This feature allows you to customize the events already available in the game with different weather and time-of-day scenarios, whilst also curating the vehicle classes and the number of events found within a championship. If you want to play through the events Playground Games has made in Forza Horizon 4 with your preference of cars and weather settings, then this will be the feature for you. 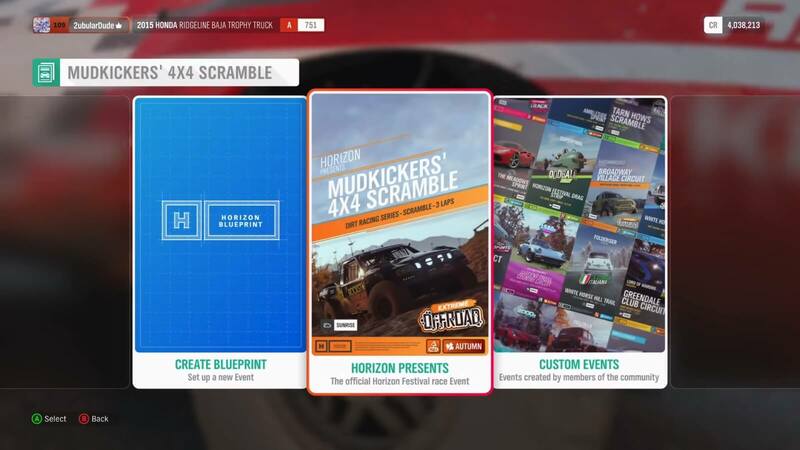 Furthermore, custom blueprints and race routes created in Forza Horizon 4 will now be filtered by into different categories, including events you’ve made, those which are currently trending, all-time favourites, and others which have been curated by Playground’s editorial team. Forza Horizon 3 would only show events made by your friends or official events curated by Turn 10’s Community Team, so this yet another welcomed change and should make navigating and discovering new events much easier and faster than before. Custom Events shows the Horizon Blueprints you've made, as well as those from the community. As mentioned, Forza Horizon 4 will be available on October 2nd, 2018 on Xbox One and Windows 10 PC. It’ll also launch onto Xbox Game Pass on the same day, but Ultimate Edition owners can start playing four days early from September 28th. For everything you need to know on Playground’s latest open-world racing game, don’t miss our recaps from their recent Summer, Autumn, Winter, and Spring broadcasts, as well as our hands-on impressions of the Forza Horizon 4 E3 2018 demo.